Love the expanse of this shot. 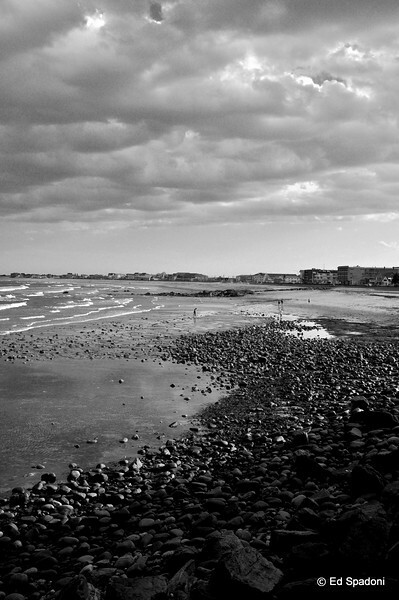 Great comp, excellent choice of B&W---lots of rocky beach, just beautiful! beautifully done in black and white...all the different shades and textures really stand out! I really like the vastness of this shot. Super B&W tones. Beautiful dof, great detail, looks terrific in black and white. Great B&W and I agree with Gail, a very expansive feel to it! I really like the depth you created and the layers. A rugged beauty in the coastline very suited to B&W. I like the choice of portrait presentation too.